Submenus are a great way to organise a large website. Add multiple subpages do your submenu page, move content in or out of the submenu as your site changes, and have the subpages accessible via popout or dropdown menu. 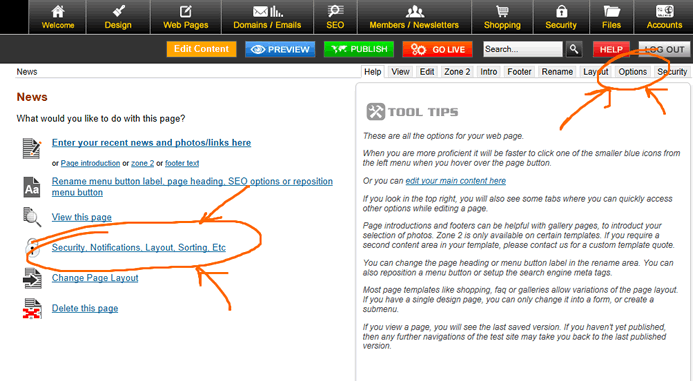 To allow subpages to be added to an existing page on your website Follow these steps. How these submenus appear on your website will be dependant on the theme chosen. From the options available, click the Security, Notifications, Layout sorting etc link, or click the 'options' box from the top right. 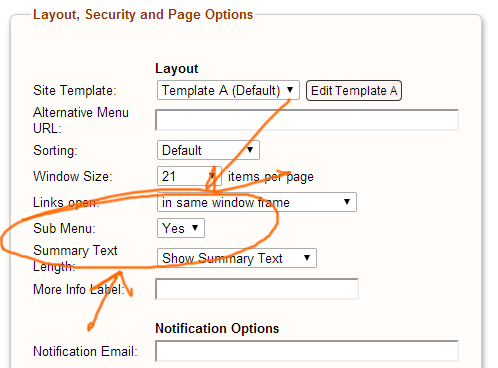 STEP 3 - Change the Sub Menu dropdown from NO to YES and save. How do I move pages in or out of a submenu? If you want to move a page back to the main menu, then their is always a parent page option called "main menu"
How can I display a submenu as a popup, popout or dropdown menu?